My 4-year-old daughter is signed up to play soccer for the first time this fall. She was in need of a little bag to carry her cleats and shin guards to and from practice and games. 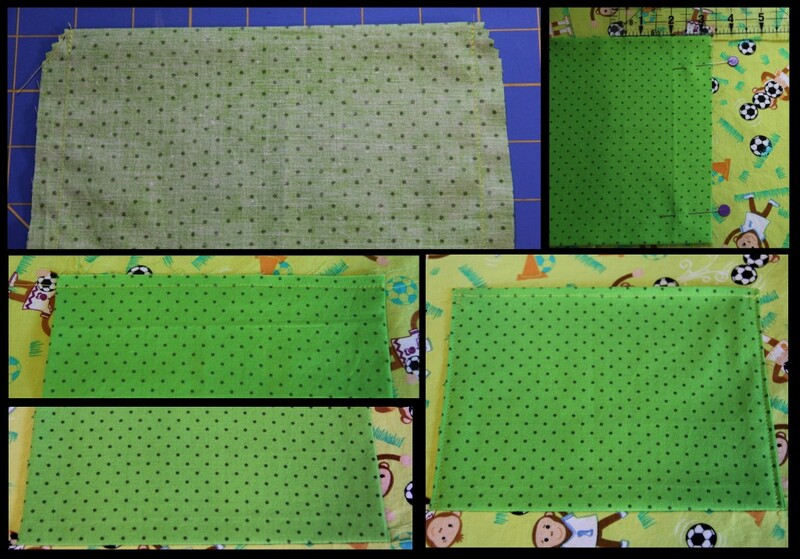 She looked at fabric with me and we found this great soccer monkey fabric (she’s thrilled there are GIRL monkeys on the fabric) in green (her favorite color). Thank you Michael Miller! 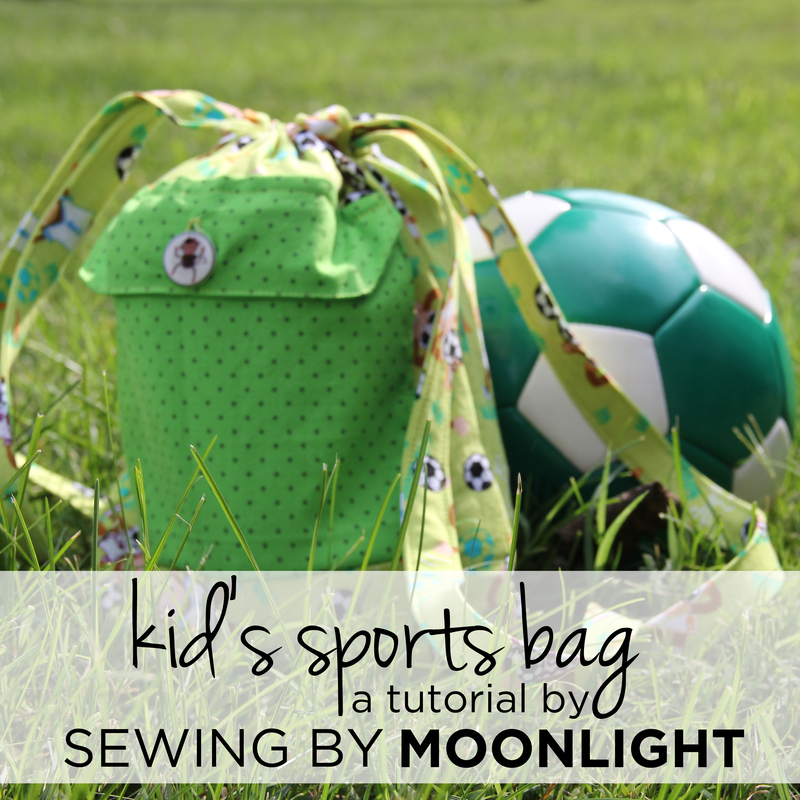 This tutorial is for a soccer or sports bag for a child. 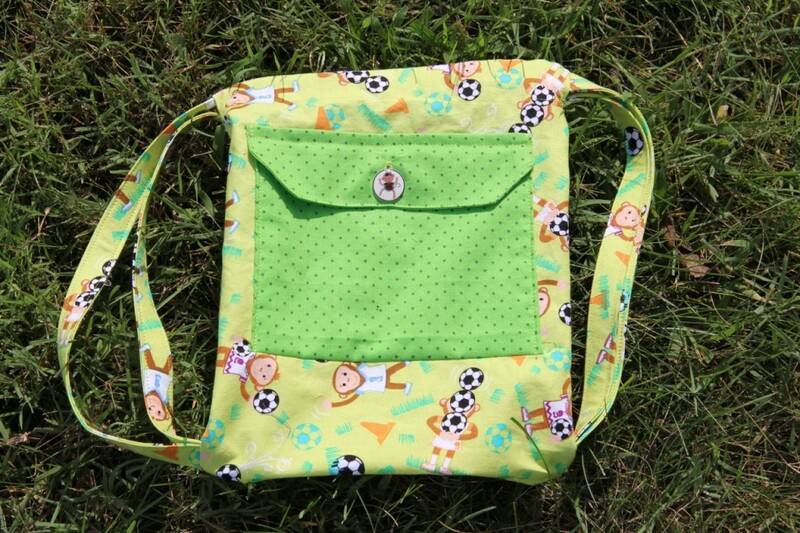 It has a cinch top and the straps can be used as a backpack. 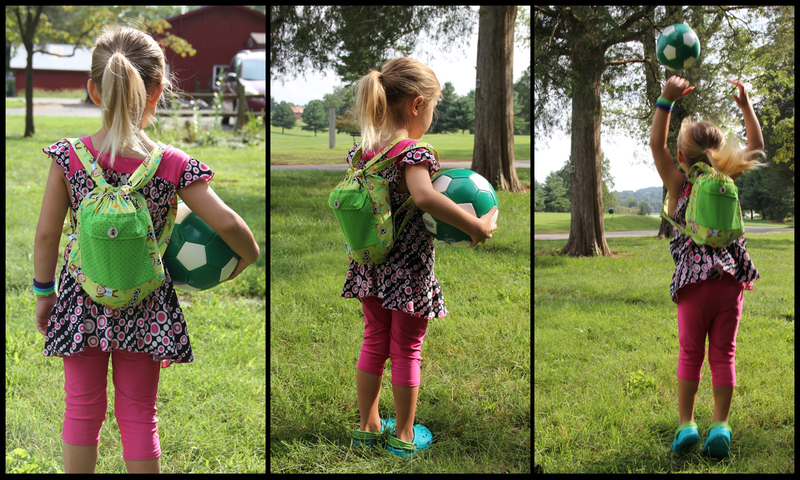 The measurements I will give you are for a small bag; just large enough for a 4-year-old’s cleats and shin guards. If you have an older child (with larger gear) or you want to fit more in the bag, you’ll have to size up accordingly. 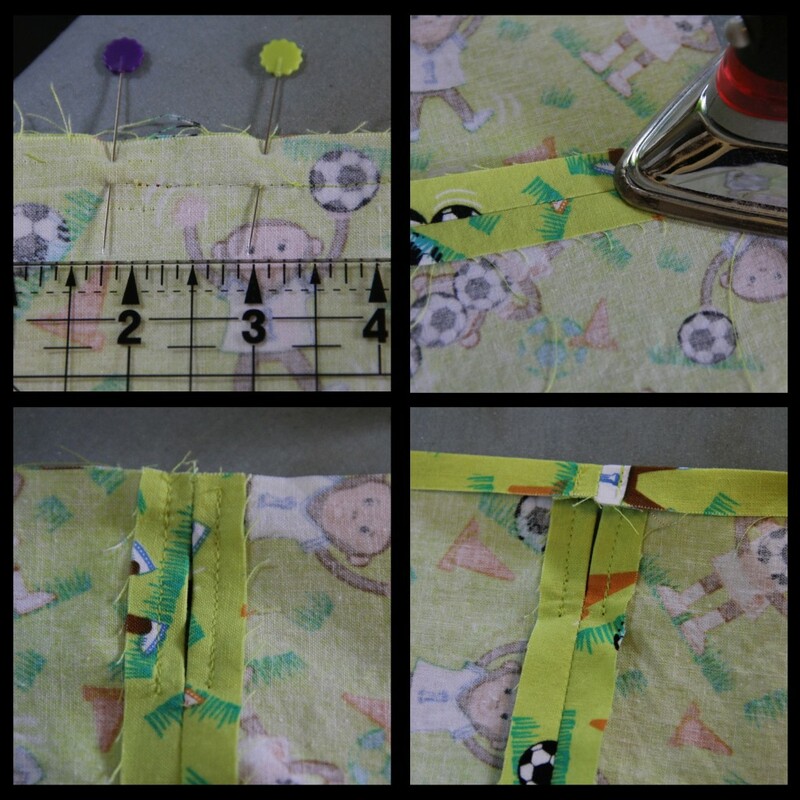 Straps: Cut two strips of fabric, 3 inches x width of fabric. I actually would have preferred my straps just a couple inches longer, but I didn’t feel like piecing the strips for just a couple inches. If you are making a larger bag, you will need to add some length to your straps. Bag body: Cut on the fold. Cut one rectangle of fabric, 9 inches x 13 inches with the fold along one of the 9 inch sides. When you open the fabric along the fold, your piece will be 9 inches x 26 inches. Pocket: My daughter requested a pocket with a button. So that is what she got. I figure it will be good for hair ties. Maybe a granola bar. You’re welcome to leave it off if you don’t want/need a pocket. Cut on the fold. I made my pocket 8 inches x 5.5 inches with the fold along the 8 inch side. When opened, the pocket piece is 8 inches x 11 inches. Pocket flap: I simply moved my ruler up from the cut I made for the pocket and cut TWO pieces 8 inches x 2.5 inches. Fold each strip in half, lengthwise. Press the fold. Open the strip back up. Fold one raw edge to the center and press. Then fold the second raw edge to the center and press. Fold the strip in half again, enclosing both raw edges in the center. Topstitch along the length of the strap, very close to the open edge. I like to topstitch along the opposite edge as well so that the strap looks more even. 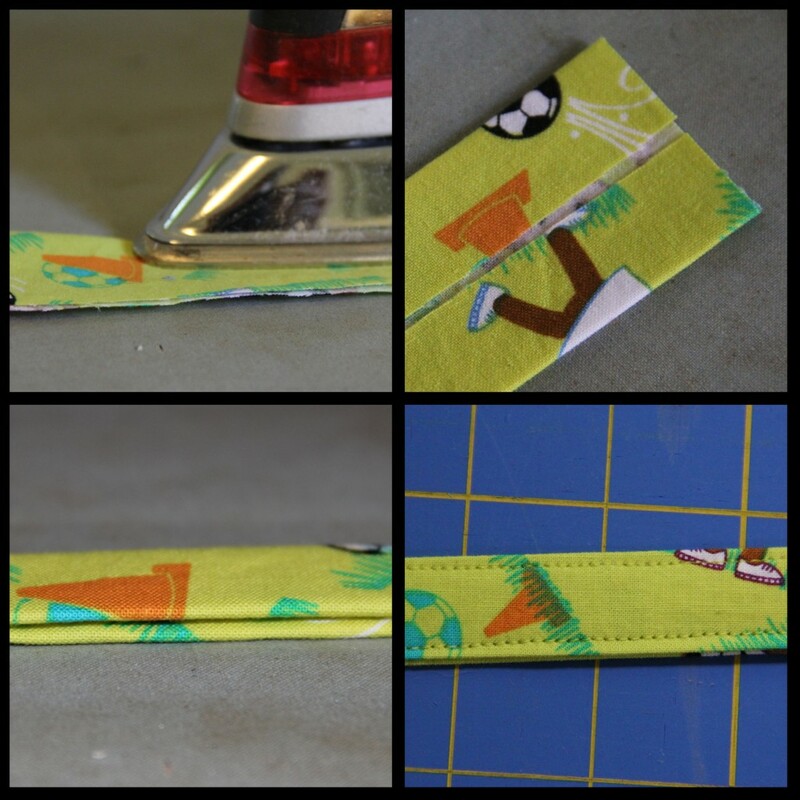 With a 1/2 inch seam allowance, sew along each of the 5.5 inch edges of your pocket piece. Clip the corners. Turn the pocket right side out, poking out the corners. Press. Topstitch about 1/4 inch or less away from the fold. This will be the top of your pocket. Center the pocket on the bag, with the bottom edge of the pocket 3-1/4 inches from the bottom of the bag (the fold along the 9-inch edge will be the bottom of the bag). 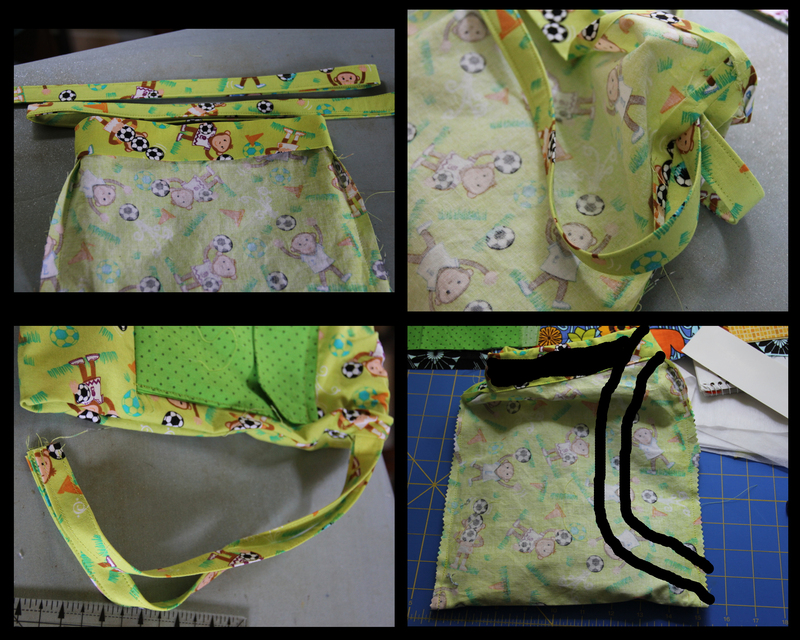 The pocket and the bag should be right sides together, so the inside of the pocket will be facing up. The pocket will be placed upside down on the bag, so the bottom of the pocket (the raw edge) will be nearer the top of the bag, and the top of the pocket (the folded edge) will extend below the bottom of the bag. 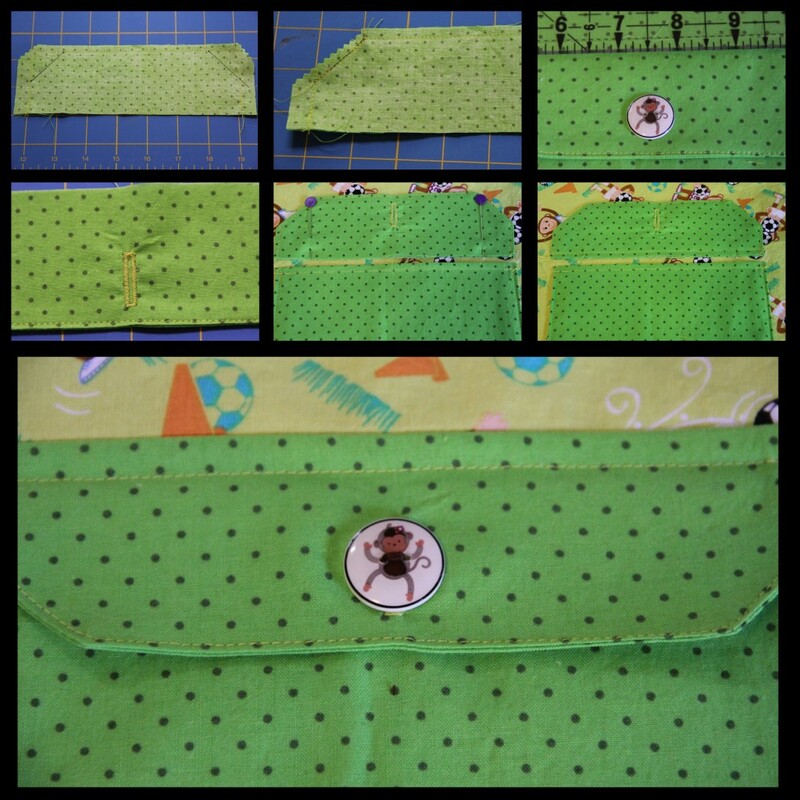 Unfold the bag and sew the pocket to the bag, 1/4 inch below the raw edge of the pocket. Fold the pocket up over the raw edge, enclosing it inside the pocket and press. Topstitch along the two sides of the pocket, close to the edge, to attach the pocket to the bag. With right sides together, sew the two 8 inch x 2.5 inch pieces together along three sides. You can see in the photos below, I decided to angle the edges of my pocket flap. To do this, I simply measured 1 inch from the end of each line of stitching and drew a line connecting the adjacent sides. I sewed along the line, and then trimmed to about 1/4 inch outside the stitches. Turn the pocket flap right side out and press. Topstitch around the sewn edges. Decide on the placement of your button and mark for the button hole. All sewing machines are different, so you will have to check your manual for directions on how to create a buttonhole to fit where you marked. Carefully cut the buttonhole open. Pin the pocket flap on the bag, right sides together, about 1/4 inch above the top edge of the pocket. The raw edge of the pocket flap will be near the top of the pocket and the bottom of the pocket flap will be up toward the top of the bag. Sew the pocket flap to the bag, just under 1/4 inch from the raw edge of the flap. Press the flap down toward the pocket. Sew along top of the pocket flap, just over 1/4 inch from the fold, enclosing the raw edge. Mark where the buttonhole falls on your pocket. Attach the button. I ordered the monkey buttons ages ago from this Etsy shop. 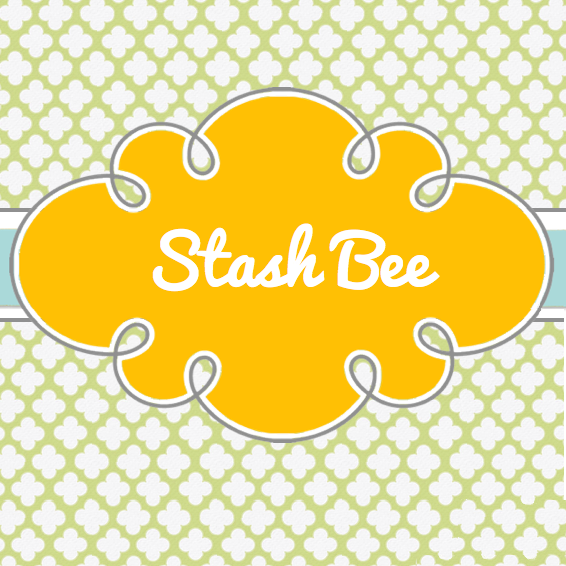 Her buttons are darling and well made, and I just clicked over there and her selection is even better than when I ordered. Fold the bag in half, right sides together, along the same fold you used when you cut out the fabric. Place a pin 1-3/4 inches from the top edge of the bag, and another pin 3 inches from the top of the bag. Do this on both edges of the bag. Sew along each side of the bag from top to bottom, ending at the first pin with a backstitch and leaving a space between the two pins. Leave about 1-1/2 inches at the bottom of the bag open as well. Fold the top of the bag down 1/2 inch all the way around. Press. Fold down an additional 1-1/4 inches (to the top of the gap). Press. This will position the gap you left on the outside of the bag, and it will allow the straps to pass through the casing to the outside of the bag. Do not stitch down the casing just yet. Fold each strap in half, placing them in opposite directions above the bag. Tuck each strap under the casing, maintaining their respective positions. Push the loose ends of one strap through the gap in the right side of the bag. The strap will circle the bag under the casing, with one loose end entering the gap from the front and the other loose end entering the gap from the back. Push the loose ends of the other strap through the gap in the left side of the bag. Tuck both straps fully under the casing. Be careful not to catch the straps in your stitching, and sew the casing down, very close to the edge. Trim the seam allowances with pinking shears to prevent unnecessary fraying. And a very happy little soccer player! this is cute, thanks for sharing it. 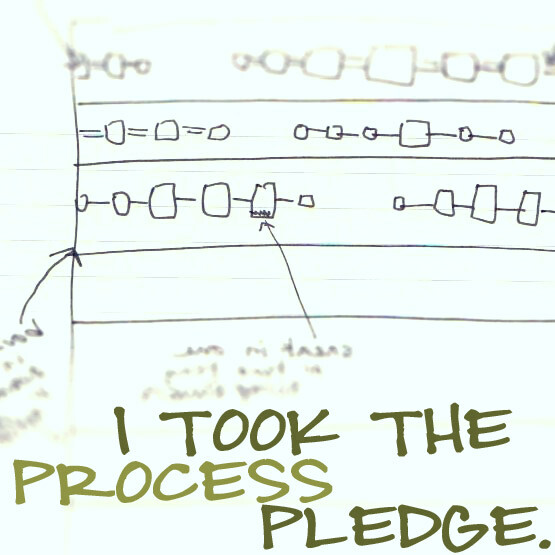 Trial and ERROR (and error) and try again! Works in Progress: A Finish!